This month on November 6th, we shared our insights into effective regional security program management with an audience of Singapore-based security professionals. 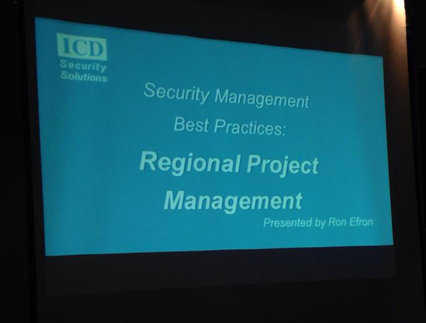 The presentation was given by ICD's CEO Ron Efron and featured a detailed exploration of the issues surrounding regional security program management. Issues covered included conducting due dilligence effectively, how to manage project costs efficiently, and the management tools required to ensure successful project implementations and to enforce global security standards for every site in a region. "I was delighted that we had the opportunity to help security end users in Singapore understand security program management best practices in greater detail at this event" commented Mr Efron. "This kind of event is an excellent chance for end users to share their experiences of security project management across the Southeast Asia region. Plus, our team has been managing multi-regional security projects for clients throughout Asia for more than 10 years now, so we have a clear understanding of these issues and we know what works and what doesn't. "It is really important to us that end users are aware of the key factors that determine the success of regional implementation programms. Successful programs depend on end users having a firm grasp of issues such as regional tax variaton, security standard enforcement and regional service provider performance management, so I was glad to have the chance to highlight these issues for security end users at this event." 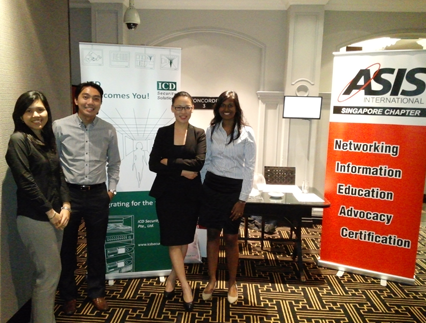 ICD is committed to holding events throughout that Asia-Pacific region to raise awareness about key security issues. 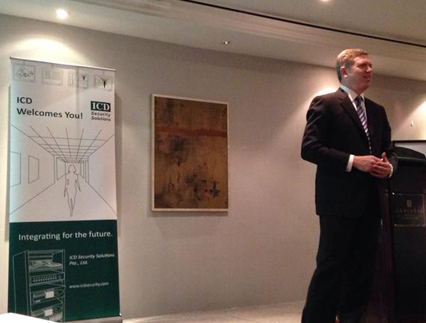 If you are a security end user, look out for more ICD events in your region in the near future!